Hello and Welcome to our preview for Pakistan vs South Africa match. We are covering PAK vs SA Dream11 Team Prediction, Preview and Probable Playing XI for the first T20I. The match is to be played at the Newlands, Cape Town. One can feel the balance being shifted from South Africa’s corner to Pakistan’s corner as the format keeps shrinking. South Africans dominated in the Test series but were found out in the One-dayers. They eventually won the decider to claim the series 3-2 but Pakistan was impressive. In T20Is, Pakistanis are even greater power. They are enjoying a stunning unbeaten run and win in South Africa will be a pinnacle of the streak. Pakistan currently stands with a match-winning streak that extends to nine games. They have 17 of their last 19 matches. The players are almost the same but the change in format rejuvenates them. This will be the ideal chance for Shoaib Malik and co to return home with a series win. South Africa finally managed to stage their own T20 domestic league this year, Mzansi Super League. The team will be hoping to test out few of its performers alongside the regulars. Lutho Sipamla is one notable name who has been picked solely on his MSL performance. At home, SA should start as favorites but in current form, Pakistan cannot be ruled out. A high-scoring encounter is expected. Just In: Mohammad Hafeez has a slight hamstring niggle and will not play 1st T20. Hussain Talat or Sahibzada Farhan can play in Hafeez’s place. Sarfraz has been suspended for four matches so the ODI arrangement continues. Shoaib Malik will captain the side and Mohammad Rizwan will be keeping wickets. Fakhar Zaman and Babar Azam will open the batting. Azam averages 54 in T20I cricket after 26 matches. Shoaib Malik is expected to bat at number four with one of Sahibzada Farhan and Asif Ali for the company. Wicketkeeper Mohammad Rizwan bats in the middle order. Shadab Khan and Imad Wasim will be two spinning all-rounders. Pakistan side pacer being picked from a pool of Usman Khan, Fahim Ashraf, Mohammad Amir, Shaheen Afridi and Hasan Ali. South African playing XI is slightly chaotic. They have fresh faces in Gihahn Cloete and Lutho Sipamla. Both could feature in the first match. 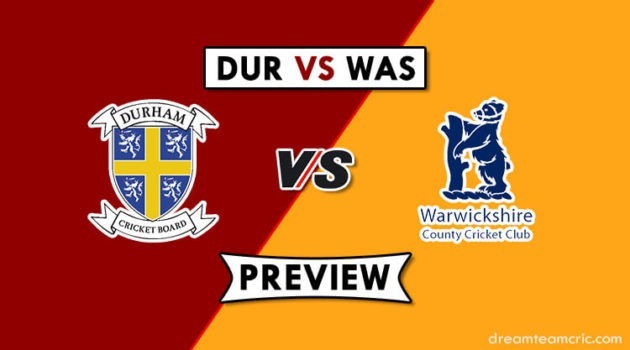 Quinton de Kock will open the innings. His partner is uncertain. Both Cloete and Hendricks are capable to bat at this position. R Van Der Dussen, Faf du Plessis and David Miller occupy the middle order slots. Chris Morris should return to the side. This could mean only one of Phehlukwayo or Mulder playing. If all three all-rounders play, one fast bowler will have to sit out. Tabrez Shamsi starts as the primary spinner. Lutho Sipamla should make his debut. His new ball partner could be Junior Dala or Beuran Hendricks. M Hafeez will not play so team updated. Captain and Vc choices: Q de Kock, Babar Azam, Fakhar Zaman, Faf du Plessis, D Miller, Usman Khan, L Sipamla. 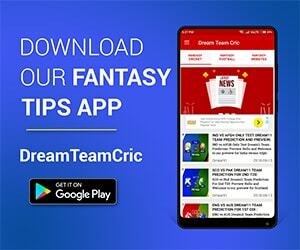 If you liked PAK vs SA Dream11 team prediction, then follow us on Twitter for Latest Cricket News and Grand League Teams.